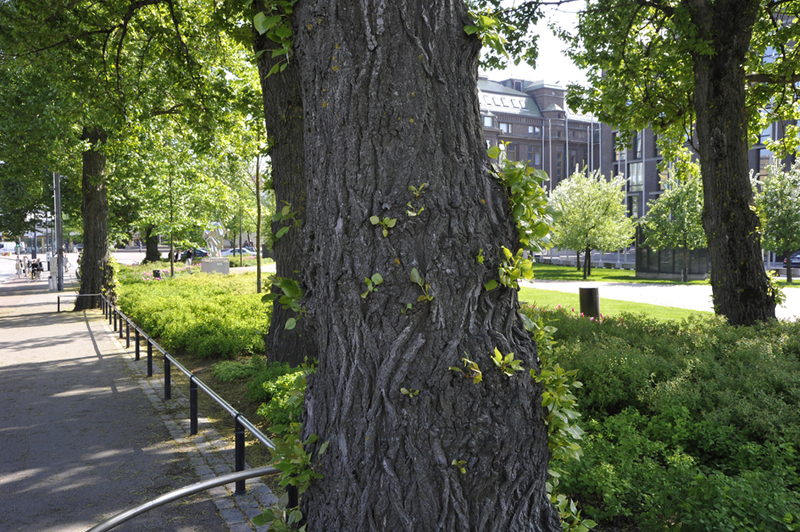 Helsinki may have the widest range of poplars in the Nordic countries: in the 1980s a survey of the city's parks and gardens counted 36 species, cultivars or hybrids. This variety of poplars shows a clear Russian influence. 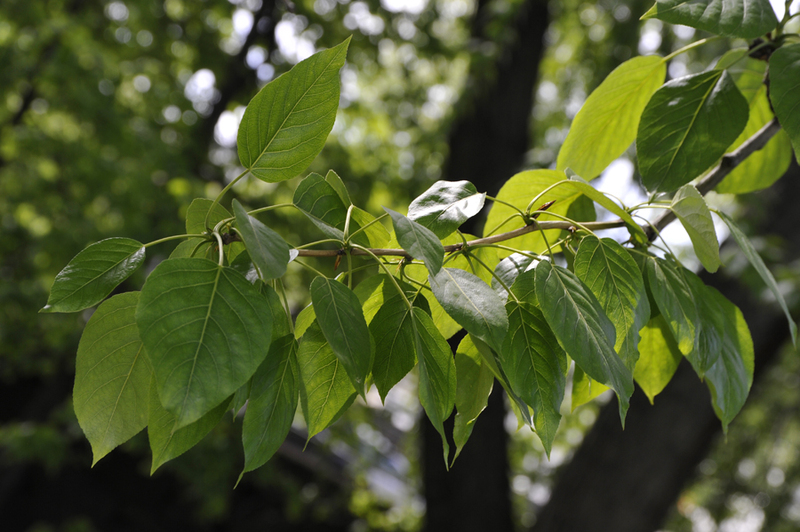 Typical Russian species include Laurel-leaf poplar and Petrowskiana poplar. 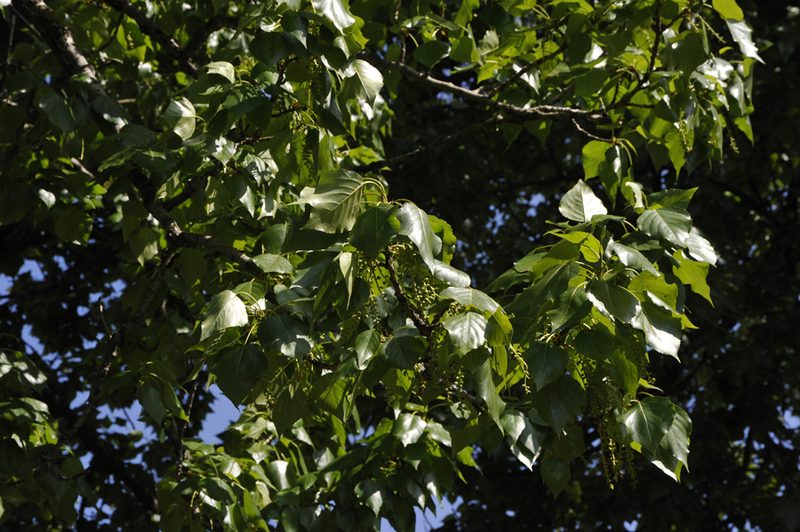 The Laurel-leaf poplar, which originated in eastern Siberia, is easy to recognise from its pale-coloured trunk and the typical angled crown. Its annual shoots are reminiscent of a laurel wreath. The Petrowskiana poplar is a hybrid born in Russia, which grows majestically tall. Both are robust trees that do not produce many root shoots or seed tufts. Poplars, so popular in the past, are declining in Helsinki's parks. None have been planted in the last few decades, and plants are not easy to obtain. Thus lofty poplars are part of Helsinki's historical cityscape, and in the interest of preserving the cityscape some poplars should be planted, regardless of current fashion. Laurel-leaf poplars growing in Hesperianpuisto Park in front of Finlandia Hall, on Mäntymäki, in the City Theatre Park and Kaivopuisto. 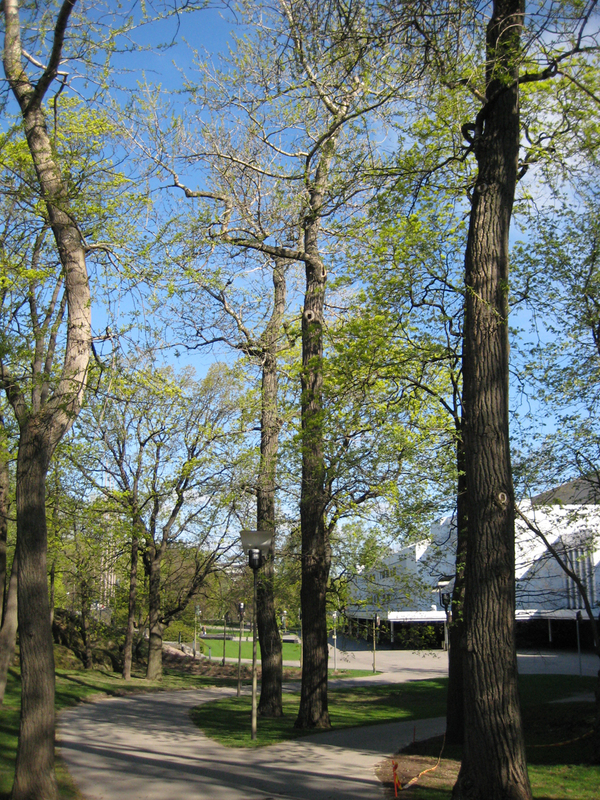 Petrowskiana poplars can be seen in the Little Parliament park and at the swimming stadium.